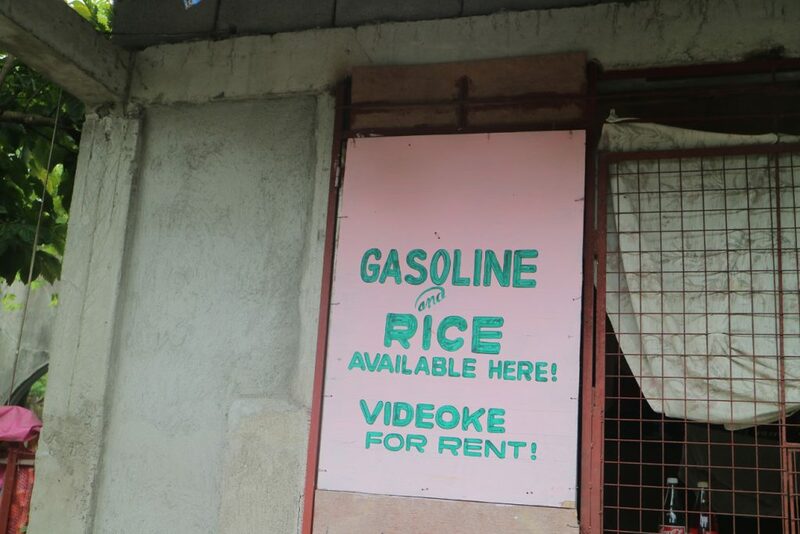 Let´s continue our quest to interpret the hidden meaning behind signs of the Philippines. In the Philippines private enterprise is alive and well. Pretty much every other household in certain parts run some sort of business. This can be a vulcanizing store, a bakery, a small eatery or the ubiquitous Sari Sari store. While certainly industrious not all Filipinos are the most stellar of businessmen. Frequently when seeing some of these stores one starts to wonder “how on earth can this be even remotely profitable?” Stores on quiet backstreets with minimal stocks, eateries that seem to be open at fairly random hours when the owners feel like it. Every now and then you find a store that gets everything right. This store in Irosin, Sorsogon has gotten rid of all unnecessary inventory and only stock the bare everyday essentials that every Filipino citizen need every day!